Both sparkling water and soda water are characterised by bubbles that come from carbon dioxide gas but notably, they are also comprised of other additives that make them different. Also known as carbonated water, sparkling and soda waters are clear and they have carbon dioxide dissolved and the term is often used interchangeably. However, in their liquid state, it can be seen that there are certain differences between sparkling water and soda water. Key among the differences between sparkling water and soda water pertain to their source as well as processing. As such, the major differences between sparkling water and soda water are outlined in detail below. The major feature of soda water is that it is made from plain water that is sourced from anywhere. This can be piped and treated water that is specifically meant for domestic purposes. Plain water that can also be used to make soda water can be sourced from other open sources like wells or even boreholes. As illustrated below, this type of plain water is then processed to form soda water. The other key aspect of soda water is that it is artificially processed. In other words, it is manufactured by human beings for a specific purpose just like any other product meant for marketing purpose. Soda water can be processed at home since it does not require sophisticated equipment in performing the process. What is only required is a mechanism that enables carbon dioxide to pass through it thereby carbonating it. The other notable feature of soda water is that it is comprised of a variety of additives. These include table salt, dissolved solids like sodium bicarbonate, sodium citrate as well as potassium bicarbonate and disodium phosphate among others to give it different flavors. On top of this, carbon dioxide is then artificially pressurized through it to give the desired outcome. The taste of soda water usually varies as a result of different additives that are added to the source of plain water. In some instances, soda water can be flavorless, at times bitter or slightly salty as a result of the carbonation that is artificially added. In some cases, soda water may not taste so good when consumed naturally for purposes of quenching thirst. To this effect, it can be observed that soda water is ideal for diluting cocktails or other juices to neutralize its taste that varies depending on the ingredients used in its actual processing. It can also be used as an alternative to dilute spirits. Soda water can also be used to make a good soft drink with added juice fruit and ice. In contrast to soda water, sparkling mineral water as the name suggests comes from natural well or spring. The source of mineral water is natural and it is directly obtained from it and packed for consumption. In other words, sparkling mineral water obtained from natural springs is ready for consumption in its natural state direct from its source. The source is unspoiled by any form of human interference therefore it is naturally the best for human consumption. The other aspect about sparkling mineral water is that it is naturally processed and it draws its unique flavor from the minerals that are dissolved in it naturally. The whole process in the creation of sparkling mineral water is natural. Natural minerals that are found in sparkling mineral water include calcium, potassium and magnesium. Others minerals can also be dissolved but it is the natural substances obtained from the ground that give sparkling mineral water a unique and distinct taste that makes it different from soda water. However, it can also be observed that additional carbonation can be added if needed. It can be seen that sparkling mineral water is naturally processed and it contains a combination of minerals. 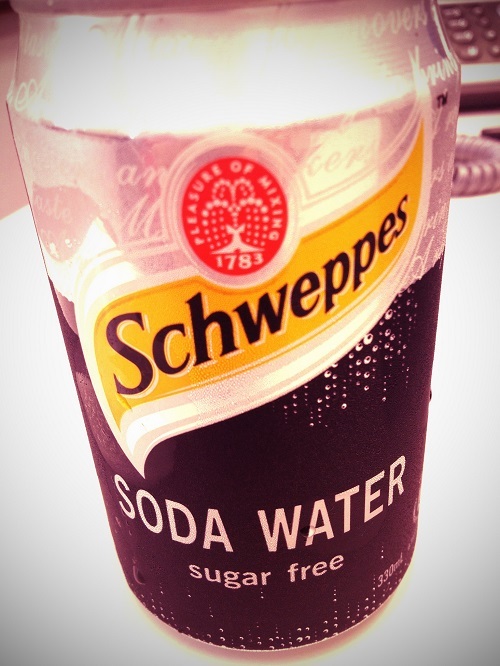 It is more delicate compared to soda water and its taste is naturally good. Sparkling mineral water can be consumed alone without any need for adding something to it to improve its taste since it is naturally good. Diluting cocktails with mineral water can be a bad idea since the taste can be distracted by the natural minerals contained in it. The other notable aspect about sparkling mineral water is that it is expensive compared to soda water by virtue of the fact that it is natural and it is bottled directly from the natural source where it is obtained. Its natural state implies that it is healthier compared to soda water that contains some substances that may not be good to other people. This is the ultimate option for people who really enjoy the great taste of natural water. Its freshness is just as good as other soft drinks hence it can be served alone as a substitute to a drink. No enhancement is required since sparkling mineral water is great in its original state. Sparkling mineral water comes from a natural source usually springs. This type of water usually gushes from special type of aquifer rock. Soda water comes from any form of plain water. That can be borehole or treated as well as piped water that is meant for domestic purposes. Sparkling mineral water is naturally processed. There is no human interference in its production. In contrast, soda water is artificially processed and it can be done even at home. Sparkling mineral water is comprised of natural mineral components as suggested by the name. These include calcium, potassium and magnesium and they are naturally dissolved underground. Soda water is comprised of a variety of additives such as sodium bicarbonate, sodium citrate, table salt as well as potassium bicarbonate and disodium phosphate. These are artificially induced in plain water together with pressurized carbon dioxide to create soda water. Sparkling mineral water has natural and fresh taste and it is the perfect choice for people who really love originality in water. It can be directly consumed as it is in its natural state. If required, carbonation can be added to enhance the taste. The taste of soda water varies and in some cases it can be salty. This is mainly caused by the artificial additives that are used when it is processed. Soda water is ideal for diluting cocktails and spirits alike by virtue of its taste. Due to its uniqueness and originality, it can be observed that sparkling mineral water is expensive compared to soda water. Both are carbonated but their components make them significantly different. Unlike soda water, sparkling mineral water is packed directly for sale from the natural source it its original state. Both soda water and sparkling mineral water are similar in that they are carbonated and are found in liquid form. However, a closer analysis between these two types of water is that they significantly differ as a result of many factors. The major differences between the two as noted above pertain to aspects such as source and processing. Soda water is created from any plain water while sparkling mineral water as the name implies is naturally sourced. It is also naturally processed compared to soda water that is artificially processed through adding a variety of additives and carbon dioxide to give it taste. On the other hand, it has also been observed that sparkling mineral water has this natural taste which makes it great compared to soda water. Soda water is characterised by a salty taste which makes it ideal for diluting cocktails and other related spirits. 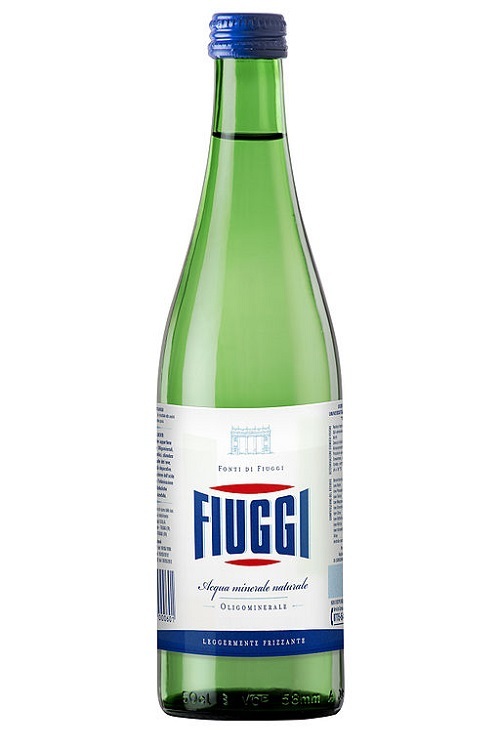 Sparkling mineral water can be consumed as it is as a result of its unique and great taste. The key features of sparkling mineral water make it expensive compared to soda water that is artificially processed. Trevor Mark. "Difference between Sparkling water and Soda water." DifferenceBetween.net. April 24, 2018 < http://www.differencebetween.net/object/comparisons-of-food-items/difference-between-sparkling-water-and-soda-water/ >.